It’s time once again for the big Catalan derby of the Spanish La Liga. Espanyol hosts Barcelona in a match from the 15th round of the league. The game is going to be played on Saturday night in the Catalan capital. Espanyol are having a decent season so far. Los Pericos are 7th in the league standings with 21 points, having a record of 6 wins, 3 draws and 5 defeats. In a certain moment of the season Espanyol even had a place in the Top 4, but their three consecutive losses in the last three games made them lose some positions. Since their win against Athletic Bilbao, something really messed up for Espanyol. They conceded three consecutive defeats, losing against Sevilla, Girona and Getafe. In their last game Espanyol visited Getafe, but conceded a crushing 0-3 defeat. Jorge Molina, Jaime Mata and Antunes scored for Getafe, dominating the game. Barcelona on the other hand are leading the standings with 28 points won so far. The Catalans have a record of 8 wins, 4 draws and 2 defeats. In their last game Los Cules enjoyed a 2-0 win over Villarreal at the Camp Nou, thanks to goals from Gerard Pique and Carles Alena. Barca had some difficult moments since the beginning of the season, but now Ernesto Valverde’s team is once again leading the standings. Of course, Barcelona could lose the first place really qucik, because their lead in front of the 2nd Sevilla is just one point. As it goes right now, the title race in Spain is going to be really intense. 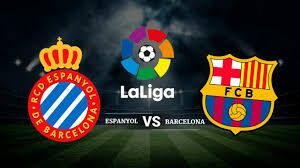 This was our look at the Catalan derby between Espanyol and Barcelona in La Liga. Barca are the usual favourite here, but traditionally these games are very unpredictable. Everything can happen, we can say. Be careful.